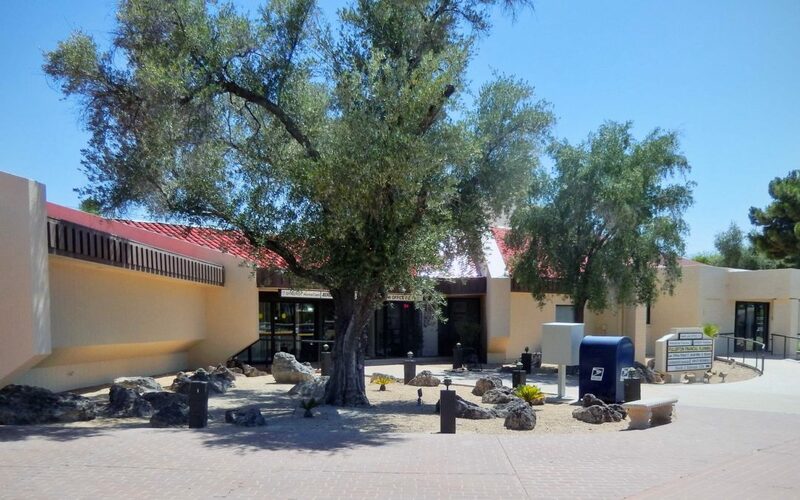 PHOENIX, ARIZONA (February 5, 2019) – The investment sale of an office building at 10240 W. Bell Rd., in Sun City, Arizona, for $2.195 million highlights recent deals closed by NAI Horizon professionals. Tom Bean, CCIM, and Stan Matzinger negotiated the sale of an office property, representing the seller, 10240 Bell Road Associates, LLC, for $2.195 million. The property is located at 10240 W. Bell Rd., Sun City, AZ. John Oushana with HomeSmart represented the buyer, Vintage Garden Properties, LLC. Troy Giammarco, Tyler Smith and Joe Pequeno negotiated the sale of a 2,381 SF office property, representing the seller, Srdich Investments, LLC, for $481,500. The property is located at 8765 W. Kelton Lane, Peoria, AZ. Sean Gillespie with Nathan & Associates Inc. represented the buyer, Pisa Properties Sixteenth, LLC. Troy Giammarco, Tyler Smith and Joe Pequeno negotiated the sale of a 2,294 SF office property, representing both the buyer, Pisa Properties Sixteenth, LLC, and the seller, 8700 Kelton Campus, LLC, for $326,000. The property is located at 8765 W. Kelton Lane, Peoria, AZ. Laurel Lewis represented the tenant, Southwest Behavioral Health, in a 70-month office lease renewal for 8,490 SF at 2580 Highway 95, Bullhead City, AZ. Rick Foss and Laurel Lewis represented the landlord, Roeser2001, LLC, in an 88-month industrial lease for 10,832 SF at 5202 S. 39th St., Phoenix, AZ. Brian Payne with Lee & Associates represented the tenant, AZ Environmental Progress, Inc.
Chris Gerow, Shelby Tworek, Gabe Ortega and Patrick Anthon represented the landlord, New Bell Tower, LLC, in an 86-month retail lease for 4,471 SF at 4961 W. Bell Rd., Phoenix, AZ. Gordon Rasmussen with Martin Property Advisors, Inc. represented the tenant, PAS Charter, Inc.
Chris Gerow, Shelby Tworek, Gabe Ortega and Patrick Anthon represented the tenant, Kokomo Ridge, LLC, in a 36-month industrial lease for 8,824 SF at 2618 N. Ogden Rd., Mesa, AZ. Cory Sposi with Commercial Properties, Inc. represented the landlord Mesa Ridge Business Park I, LLC. Chris Gerow, Shelby Tworek, Gabe Ortega and Patrick Anthon represented the landlord, New Bell Tower, LLC, in a 60-month retail lease for 1,550 SF at 4925 W. Bell Rd., Phoenix, AZ. Tram Chu with West USA Realty represented the tenant, Dipping Nails, LLC. Matt Harper, CCIM, represented the tenant, A&G Companies, LLC, in a 61-month retail lease for 1,400 SF at 15605 W. Roosevelt Str., Goodyear, AZ. Jenette Benette with Kidder Mathews represented the landlord, Parkway Village, LLC. Tom Bean, CCIM, represented the tenant, Monterey Energy, Inc., in a 38-month industrial lease for 2,555 SF at 1820 W. Drake Dr., Tempe, AZ. Brian Payne with Lee & Associates represented the landlord, LPC Arizona 1, LLC. Laurel Lewis represented the tenant, Paradigm Design, PC, in a 12-month office lease for 1,572 SF at 4650 E. Cotton Center Blvd., Phoenix, AZ. Michale Crystal and Emily Curry with Newmark Knight Frank represented the landlord, Cotton Center Corporate Office, LLC. Matt Harper, CCIM, represented the landlord, JAS Properties, LLC, in a 12-month retail lease for 1,250 SF at 12306 N. 32nd St., Phoenix, AZ.